If you're a landlord, homeowner, or about to buy a homes, how do you decide if a home warranty is worth the investment? Depending on the circumstances of the owners and the condition of their property, a home warranty can be a huge relief and provide a sense of comfort. But, experienced owners may consider the coverage unnecessary because they feel they can handle the repairs on their own for less time and money spent. If you are considering buying a home warranty, here are the answers to all the questions you’d ask. What Is a Home Warranty, Exactly? The concept is actually very simple and straightforward; it's not until you get into the minutiae of the contract does the devil lurk in the details. A home warranty is a service contract with a company to cover the repair and/or replacement of home systems. The basics of coverage are usually similar across the board from service provider to service provider, such as the length of the coverage (usually 1 year) and in broad terms, what is covered: kitchen appliances, water heaters, plumbing, electrical, and heating systems. Basic coverage can be augmented, for more money out of your pocket, to address additional breakdowns in pool and spa equipment, washer/dryer, refrigerator, air conditioning, and well pumps. The service contract terms are also affected by the region of the country where the property is located, and whether or not it is a negotiating piece of a real estate transaction. In an ideal scenario, you’d make a few phone calls and the repair or replacement would go smoothly and quickly. When a fix is needed, first call your provider to report the problem. Next, your company will send a professional that has contracted with your chosen warranty provider. A pre-designated fee is paid to the contractor, and they will begin the task of figuring out what the problem is and how to fix the issue. After completing the repair, the contractor is then paid by your warranty provider. Sometimes, this description is very much the case, and everybody wins. Other times, the recommendations given by the contractor suffer through a very slow approval process appointed by the warranty company. Appointment coordination between the warranty provider, homeowner, and contractor can also be delayed due to availability. The homeowner may be denied the repair for a multitude of reasons, to include a preexisting condition, and the claim can be rejected. To re-attempt coverage, the homeowner must follow up with rebuttals and re-submission of the claim. If you are unhappy with the contractor who initially arrives, some warranties have the option to request another. If another contractor has to come back to the house, its likely they’ll require another service fee to reassess. How Much Will I Pay for a Home Warranty? Because home warranties range greatly from basic to detailed coverage, estimations for a year’s contract can run from $300 to $1,000. The price is either paid monthly or by one payment that covers the year. These estimates only include the actual purchase price of the warranty. Homeowners should also expect to pay a deductible for each visit by the contractor. A standard deductible is usually $50 or $100. This amount is paid each time the contractor comes to your home. When buying an older home, the price of a home warranty may be negotiated in the contact to protect the buyer’s stakes in purchasing used appliances and systems. A routine property inspection should bring to light any immediate repairs needed. In some real estate markets, it's customary for your agent to present a home warranty plan as a closing gift. If the house happens to be new construction, it is standard for nationally recognized builders to cover appliances and systems for the first 12 months. They also typically cover structural defects for 10 years. But these terms vary in the fine print and it is recommended to rely on the guidance of the buyer’s real estate agent to avoid major misunderstandings of coverage exclusions. The extra protection of a warranty is often not needed after a new build is purchased. What Is the Difference Between a Home Warranty and Home Insurance? These products are commonly misunderstood when compared to one another. They sound very similar, but actually provide very different coverage and cannot be used interchangeably. Home insurance is designed to protect the structure of the home from major risk factors such as severe weather, theft, and from the resulting problems that occur from system or appliance failures (like fires.) Homeowner’s insurance also provides liability coverage in case there is an accident on your property and legal proceedings are needed. Homeowner’s insurance is so important that the vast majority of mortgage lenders require the coverage. Home warranties, on the other hand, were created to cover the systems and appliances that are in use every day, like a water heater and air conditioning unit. It is normal for these to have a limited lifespan and to eventually give out. Home warranties provide the buffer and protection from paying full price from your bank account for these typical problems. As a homeowner, you can only do so much to protect your assets. Purchasing a home warranty is a good way to start thinking ahead for unpredictable breakdowns. If peace of mind is a big factor in creating a household budget, a home warranty could be a good fit for you. Knowing you are covered from expensive repairs or replacements is a valuable way to get a better night’s sleep. If you were a renter before and cherished the ability to call the landlord to fix any problems, a warranty is a similar solution—you just pay for the convenience with your own money. First time homeowners typically come into homeownership with less cash than they planned for. Any number of costly circumstances could have occurred during the purchase process. Although the warranty is another expense, the plan may very well avoid costly payments for home repairs during the first expensive years of ownership. Appliances that are over 4 years old are usually no longer covered by the initial purchase agreement from the store. The fixes are entirely up to you. In this age of rapid technology, your appliance might become outdated and unfixable in less time than in the past, simply because the parts aren’t made anymore, or the model is updated way beyond the current appliances’ capabilities. Long distance military landlords most certainly will benefit from buying a home warranty, and your tenants will be relieved not to bear the burden of upkeep. It's inevitable that a major crisis will occur in your property if you're either deployed or stationed far from the house, leaving your renters the cleanup and nuisance of finding quality repair companies. A home warranty alleviates the search to find providers. However, there is a legitimate concern between you and your renters as to who pays for the service calls, how often, and how much. The only way to avoid confusion of payment is to explicitly write in the lease how the warranty is handled, to include renter reimbursement. What Are the Downsides of a Home Warranty? The benefits of a home warranty are pretty obvious: peace of mind and the potential to save money as a homeowner. But, it's wise to prepare for the downsides of making an investment into a home warranty purchase. The chief complaint of those who buy a home warranty is the misunderstanding of what exactly is covered. The fine print is strewn with exemptions and difficult legal language. Its critical to reread any portion you are unsure of and ask the provider as many questions as necessary, especially regarding coverage limits. A trusted real estate agent is a good source for reference. Routine maintenance is required for any system or appliance to be repaired under the warranty terms. This might be professional service provided by an HVAC company or assistance from a plumber or it could be as simple as changing and cleaning filters. In some circumstances, the lack of maintenance will be obvious and the contractor is required to report this condition, which leads to non-coverage. The home warranty company will always try to repair the issue instead of immediately replace the broken item or parts. This is frustrating because timeliness is not on your side when it comes to the requests to order, waiting on part delivery, and rescheduling an installation appointment. 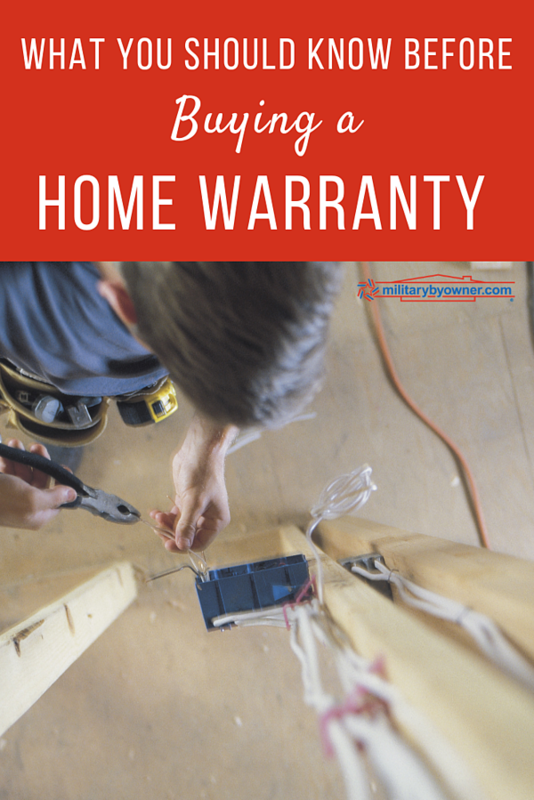 The warranty provider may research a particular problem to see if it has been addressed previously, even if it was a DIY job attempted by the homeowner. If so, they aren’t required to cover the repairs or replacement. Warranty company’s research techniques include investigating previous home inspections and exploring previous service calls on the same problem. Appliances in particular leave paper trails from previous contractors. Cancellation and renewal clauses vary between warranty providers. Military families on the move need to be aware of transfer-ability measures or the ability to cease coverage. The biggest takeaway from deciding if a home warranty is beneficial to you is to understand the details of the contract. Expecting an issue to be covered and finding that it's not defeats the purpose of a warranty. You’ll be paying double for the warranty and the non-covered repairs. Warranties are as inclusive as you’d like to pay for, so it makes sense to compare quotes from industry leaders in your area to get best coverage and premiums. Homeownership isn’t always easy. For those who aren’t willing to invest time and money into projects beyond the initial down payment will find the process expensive, time consuming, and overwhelming. 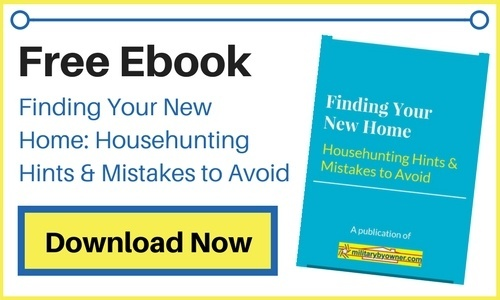 To avoid any home buying unknowns, continue to explore MilitaryByOwner’s collection of home ownership advice and tips.